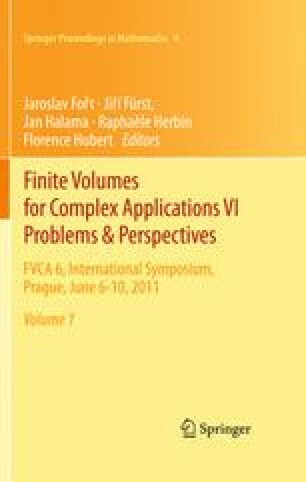 Historically the finite volume methods have been developed for the numerical integration of conservation laws. In this study we present some recent results on the application of such schemes to dispersive PDEs. Namely, we solve numerically a representative of Boussinesq type equations in view of important applications to the coastal hydrodynamics. Numerical results of the runup of a moderate wave onto a non-uniform beach are presented along with great lines of the employed numerical method (see D. Dutykh et al. (2011)  for more details). D. Dutykh acknowledges the support from French Agence Nationale de la Recherche, project MathOcean (Grant ANR-08-BLAN-0301-01) and Ulysses Program of the French Ministry of Foreign Affairs under the project 23725ZA. The work of Th. Katsaounis was partially supported by European Union FP7 program Capacities(Regpot 2009-1), through ACMAC (http://acmac.tem.uoc.gr).